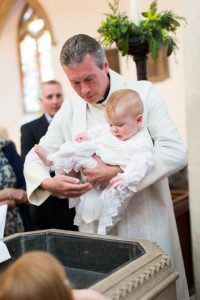 Baptism (or christening) marks both the beginning of the journey of faith and also joining the Church family. This can be undertaken at any age. If you are interested in being baptised or having your child baptised please do not hesitate to contact us directly. We will be very pleased to meet with you to discuss what is involved. Our baptism preparation evenings are usually scheduled for 7pm on the first Thursday of each month at one of the team churches – godparents are welcome to attend these as well as parents. Do take a look at this site which may also be of interest: churchofenglandchristenings.org.